One of the pages that I often visit on Stockcharts.com is the sector summary. It gives a tabular overview of the price changes that occurred over a certain period (you can choose). From that page, it is possible to open a Relative Rotation Graph that breaks the sector down into industries. This enables you to look inside the sector at the industry level and see which industries are driving or dragging the performance of the sector. 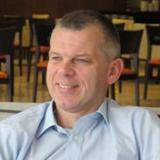 Julius de Kempenaer is the creator of Relative Rotation GraphsTM together with Trevor Neil he will write the blog entries for the RRG-free and the RRG-pro blog sections of this site. 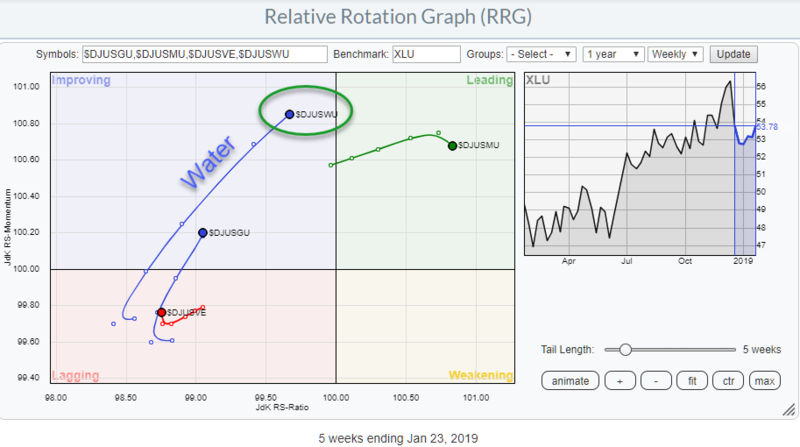 If you are looking for specific subjects or would like Julius to contribute on a speific subject, at least loosely related to RRG or Relative Strength in general, please post your question in the forum or send julius a direct message. Thursday, 11 April 2019 Is NVDA The Strongest Stock In The Strongest Sector? Saturday, 06 April 2019 The 60/40 Balanced Portfolio Just Broke To New Highs, What About Stocks vs Bonds?